Mauro Icardi appeared to confirm that he is suffering from an injury on Thursday as his absence from Inter's Europa League squad took a further twist. Icardi was replaced by Samir Handanovic as captain on Wednesday and was later a notable absentee when the club named a 19-man party for the trip to Rapid Vienna in the round of 32. Despite an initial assumption Icardi had been dropped, coach Luciano Spalletti later clarified that the Argentina international withdrew from the squad himself, although the Nerazzurri boss did not offer a reason. 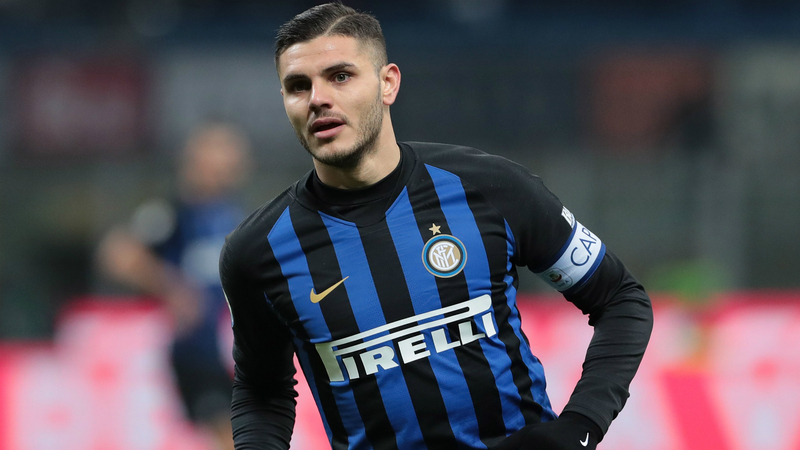 There was also only a vague explanation for Icardi's loss of the captaincy, with the striker's persistent links to a move away thought to be a factor in Spalletti's decision, which he said was made because "things around him have disturbed him and the team he captained". Reports on Thursday suggested Icardi will also miss Sunday's clash with Sampdoria due to an ankle injury - an issue that was not mentioned by Spalletti at Wednesday's news conference. Icardi appeared to back up those claims by posting a picture of himself receiving treatment on Instagram with the caption: "Therapy time day one". The 25-year-old, who has been touted as a target for European champions Real Madrid, has nine goals in 18 Serie A appearances this season, having scored 29 in 34 games last term. Left out of Inter's Europa League squad.